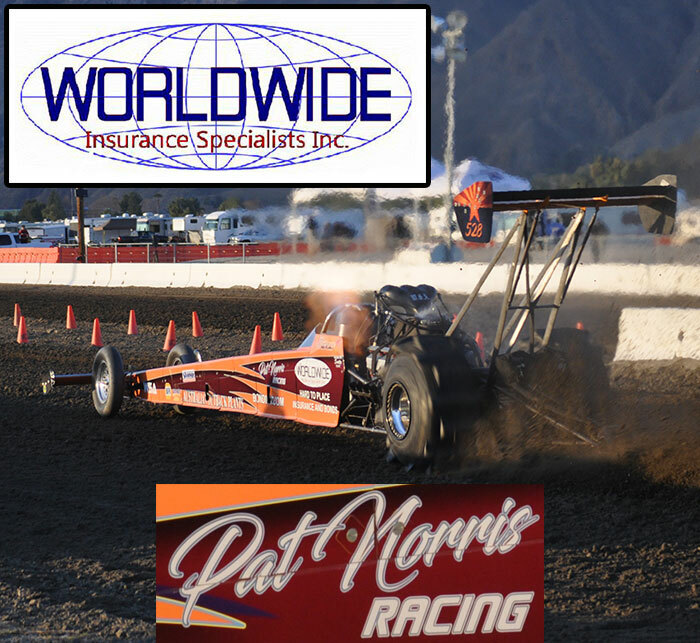 Sunday race day at the Avenal Sand Drags Fall Nationals in Avenal, CA was unfortunately won by Mother Nature as extremely high winds ripped through the area creating unsafe racing conditions. The rest of eliminations will be postponed until the 2017 Avenal Sand Drags Spring Nationals and will be finished up on Friday of that event weekend. Round one in all Pro Bracket classes were completed, while Top Alcohol & Top Eliminator were not able to make their first round elimination passes. Ladders will stay the same when eliminations resume. While the adult racers were unable to finish competition on Sunday, the Junior racers were able to get their program in earlier in the day. Junior class winners included; Drake Montgomery (Juniors), Connor Stumbaugh (Intermediate), and Benrley McReynolds (Youth). Run Sheets are now posted! #414 - Mike Williams Sr.
Saturday was an action packed day of sand drag racing at the 2016 Avenal Sand Drags Fall Nationals in Avenal, CA. Gary Mink kept up his pace from two weeks ago as he earned the #1 qualifying position in Top Alcohol with a strong 2.47/139MPH blast in the final session. Another racer that ran well two weeks ago was Paul Taylor, who is on his way to another strong performance after earning the top spot in Top Eliminator qualifying with a great 2.954 on the 2.95 class index. Charlie Johnson is the “Ultimate Gambler” as he backed up his Friday night win with the Saturday Pro Gambler class victory defeating Chris Adamson in the final round. Other big winners on the day included Kevin Williams (Sportsman 1), Stacy Bolton (Sportsman 2), Bob Glass (Sportsman 3), Tim Wilson (Motorcycle Sportsman 1), and Blake Maness (Motorcycle Sportsman 2). The Avenal Sand Drags Fall Nationals kicked off on Friday with a strong 21 car field for the Early Bird Pro Gambler. Charlie Johnson put his Mopar-powered Jeep in the Winners Circle defeating Steve Foster in a great final round match up. This was a great start to the big weekend ahead. Avenal Sand Drags wants to give a big thank you to Ross Racing for all of their support this weekend to ensure another great event in Avenal. The NSDN Friday Update isn’t as positive unfortunately. Flight delays & cancellations have pushed our arrival to early afternoon Saturday. We should make it to the track in time for Q2 of Top Alcohol & Top Eliminator Qualifying as well as late rounds of the Pro Gambler & Sportsman classes. Another not so positive development is that we will be unable to bring you the NSDN Live Stream this weekend from Avenal. The solution we used during the April race for our connection to be able to stream is now unavailable. But on the bright side, we will have our normal Daily Race Coverage, updates as they happen, and some great Live Stream-style clips to be posted later. Thanks to Avenal Sand Drags & d’Artenay Motorsports / Red Warrior Racing for all of their help this weekend. Stay tuned for updates once we get to the track.